Inputs: SPDIF in, Line in, Mic in. Outputs: SPDIF out, Front out, Rear out, Cen/Bass out. Only R L channel PCM audio in 5.1 channel can be conveyed in digital playback. In digital recording mode, it receives S\PDIF digital audio input and sends back to PC through USB. Louder the sound that computer cannot do by itself, create surround sound effect which will bring you fantastic feelings. This sound card adapter is designed for 3.5mm jack devices like headphones, headset or microphones that stop working or have issues with output cutting in and out. 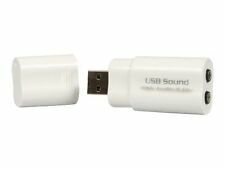 This USB Audio Sound Card Adapter instantly creates a microphone-in and audio-out jack from the USB port on a laptop or PC. USB powered, no external power required. 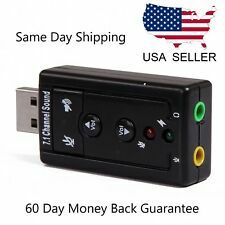 Supports 3-Dimensional Sound Plug & Play (easy installation, no setup required) USB powered, no external power required This USB Audio Sound Card Adapter instantly creates a microphone-in and audio-out jack from the USB port on a laptop or PC. Perfect for use with chat programs and internet phones such as Skype, MSN, Yahoo, QQ, ICG and more. USB A Male To 2 3.5mm Headphone and Microphone Jack Sound Card Adapter. Connector B(s) : 2 x 3.5mm Female (mic and headphone jack). headphone stereo jack and mono microphone jack. Item location: Carol Stream, IL, United States. 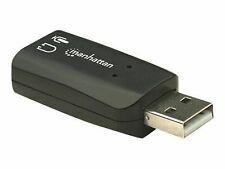 It is also suitable for sound card in the computer/laptop/desktop that dying or losing connection with motherboard. You can also use mic and headphone together on iMac/Mac Mini devices with our product. 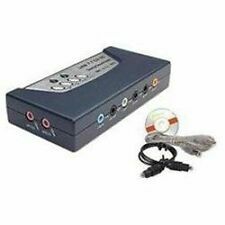 USB External Optical Audio 6 Channel 5.1 Sound Card Adapter Laptop Computer PC. Cording audio stream without sound card in PC. Record & play back digital and analog audio without a sound card in your computer. Virtual: 7.1. USB bus-power mode, no external power required. A highly flexible audio interface which can be used either with desktop or notebook systems. 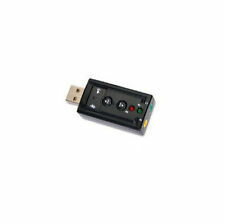 1 x USB Sound Card for PC Laptop. Connectors: USB type-A, Stereo output jack, Mono microphone-input jack. USB to 3.5mm Stereo Jack Headset Audio Adapter Cable. This USB sound adapter is designed for your new headset with 3.5mm TRRS interface. It does not work with headset withseparate headphone and microphone 3.5mm audio port. Two jacks, the green one is for stereo output, and the yellow one is for mono microphone input. USB HID class specification 1.1; USB bus-power mode, no external power required. No drivers required, just plug and play for instant audio playback; Add a virtual 7.1 channel sound to your PC or laptop. Product Specification Two jacks, the green one is for stereo output, and the yellow one is for mono microphone input. Type External Sound Card. Add a virtual 7.1 channel sound to your PC or laptop. The USB 2.0 sound card that provides an amazing audio accessory for any computer with a USB port. It is equipped with standard input and output connectors to add great stereo input and output performance. ✄ Mixing function: The mixer function can adjust the output electronically. Two headphone jacks with one microphone jack for all your external sound card adapters. Plug and play instant audio playback. official Plugable listing - includes 1 year warranty! Cording audio stream without sound card in PC. Record & play back digital and analog audio without a sound card in your computer. 1 x 6 Channel Sound Card. 1 x USB Cable. We will response within 24 hours and try our best to make you 100% satisfied. 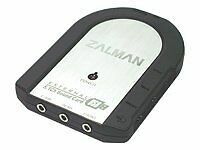 EXTERNAL SOUND CARD : External sound card has its own audio chip, can turn one USB port to several 3.5mm ports, so can connect 3.5 mm audio devices like headphones, headset, speakers, microphone, etc. Condition is Used. Comes with one optical cable adapter. Feel free to ask any questions. This USB sound adapter is designed for your new headset with 3.5mm TRRS interface. It does not work with headset withseparate headphone and microphone 3.5mm audio port. USB to 3.5mm Stereo Jack Headset Audio Adapter Cable. No drivers required,just plug and play for instant audio playback,also compatible with all major operaiton systems. 1 x USB 2.0 3D Virtual 7.1 Channel Audio Sound Card Adapter. This is USB 2.0 External 7.1-Channel Audio Sound Card Adapter. Included:1 x USB 2.0 3D Virtual 7.1 Channel Audio Sound Card Adapter. This is USB 2.0 External 7.1-Channel Audio Sound Card Adapter. It can work with either desktop or laptop. Connectors: USB Type A, Stereo output jack, mono microphone input jack. The Sound Blaster Live! USB Sound Blaster Live! 24-bit External. Your music will never have sounded better and you'll even be able to convert your old tapes or vinyl to digital audio. All this in a simple USB solution that installs in a snap! No drivers required,just plug and play for instant audio playback,also compatible with all major operaiton systems. Included:1 x USB 2.0 3D Virtual 7.1 Channel Audio Sound Card Adapter. 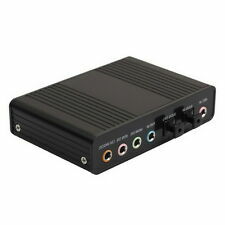 This is USB 2.0 External 7.1-Channel Audio Sound Card Adapter. Connectors: USB Type-A, Stereo Audio Output Jack (Optical S/PDIF Capable), Mono Microphone Input Jack. 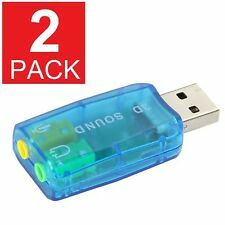 Supporting stereo 24-bit resolution and up to 96 kHz sample rate, the USB Audio dongle features 2 stereo DACs which can achieve high performance 95 db. This Sabrent AU-2X35 2.1 Audio Sound Card Splitter Adapter is a highly flexible audio Splitter, which can be used with either laptop or desktop system. No driver required, plug-and-play for instant audio playing and compliant with all mainstream operation systems. 4 Stereoactive speaker or stereo earphone. 5 Connectors:USB type-A, stereo output jack, microphone input jack. 1: 5HV2 USB 7.1 Channel External Sound card adapter. 5 Mono microphone(Optional). 4: No driver required. Manufacturer Part Number: ATR2USB. Product Model: ATR2USB. Audio-Technica 3.5 mm to USB Audio Adapter - External - USB 2.0 - 2 Byte 48 kHz. Turn any headphone, microphone or headset with 3.5 mm plug into a USB-compatible device. Headphone jack: 3.5mm 1. Total length of the headphone cable: 1.2±0.1M. 1X Multifunction External sound card（USB Stereo Audio Adapter ）. Microphone interface: 3.5mm 1. Input interface: USB/ Mic/ Line/ SPDIF. Connectors: USB Type - A, Stereo output jack, Mono microphone- input jack. USB bus - Powered mode. No external power required. Desktop or notebook PC with a USB port. Audio Ports: Line out for speakers / headphones - Line in for microphone. ( USB bus-powered mode). 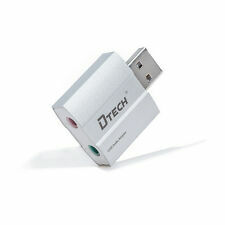 ation, USB Audio Device class Specification 1.0and USB HID Class Specification 1.1. Note: This USB sound card is only for PC and Laptop.